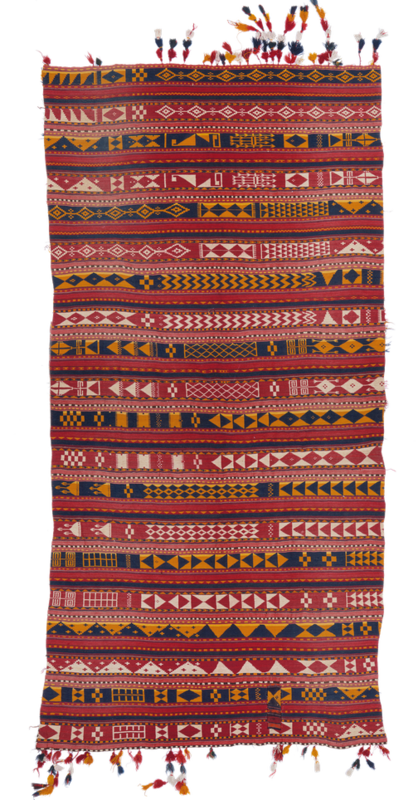 Special unique weaving product of Central Asia composed of narrow bands of warp faced weave, sewn together. Very fine wool and vegetal dyes. Some small garlands of colorful pompons still animate the kilim.